When I first spotted Kung Fu Chef, I reacted with a chuckle and then proceeded to write it off as another one of the many mediocre "Chinese" restaurants along Scott Road. Futhermore, it gave me visions of Susar Lee doing some Kung Fu Dancing while stir-frying some broccoli. Now that would be entertainment... Alas, all of this was just fodder after I learned that the place is actually a legit Chinese restaurant operated by one of the former chefs at the Downtown Kirin. 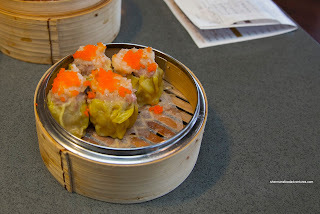 As such, I didn't hesitate to try their Dim Sum service for lunch one day (yes, all by myself...). 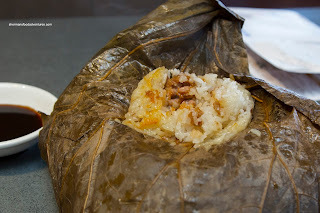 I dug into the Lo Mei Gai first (Sticky Rice) and it was good. Nestled within the soft, yet chewy glutinous rice was plenty of ground pork and dried shrimp. I would've liked a touch more moisture, but it was fine nonetheless. 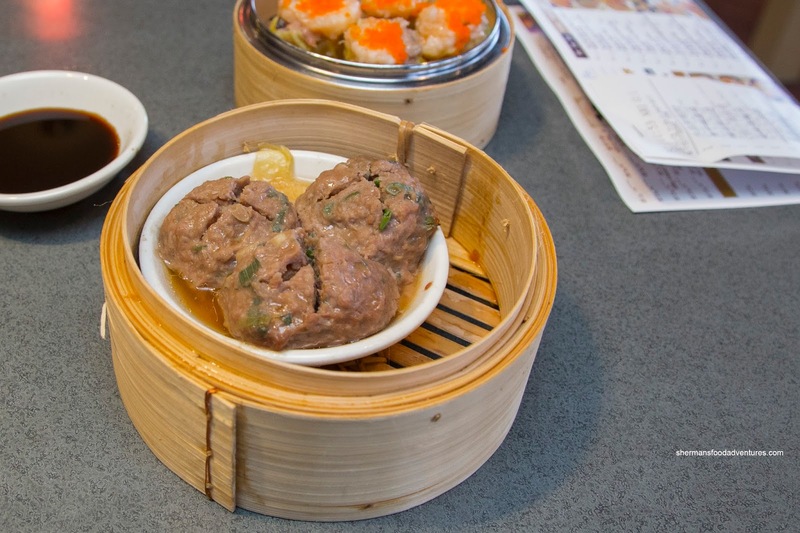 Next up were the Beef Meatballs which sported an inordinate amount of green onion. 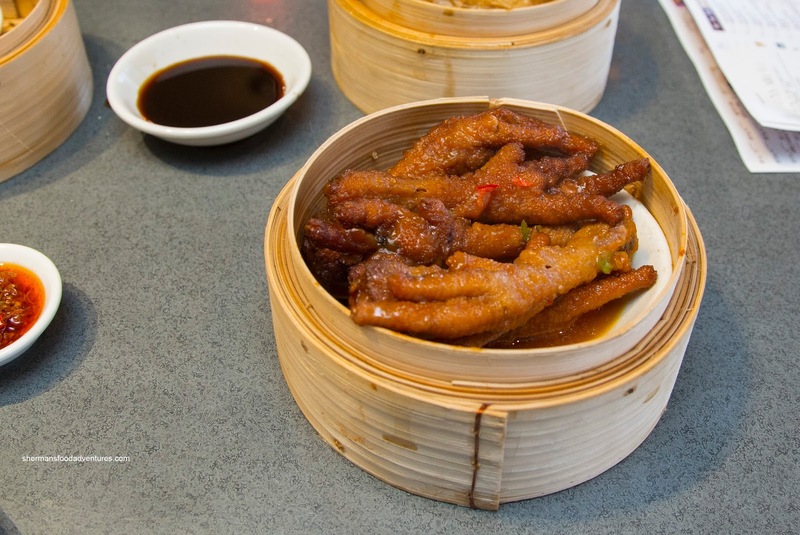 As such, the flavour profile was dominated by the green onion. It could've done with half the amount. There was less processing which meant less rebound and more natural meat texture. Onto the must order items of any Dim Sum service, I gave the Haw Gow and Sui Mai a go. 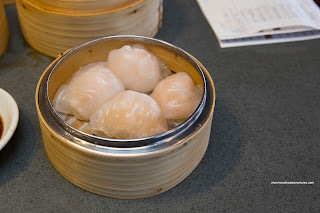 With a somewhat chewy dumpling skin (while not dry), the haw gow was pretty decent. Inside, the shrimp filling was texturally appealing with a slight bounce and snap. I found that there could've been a bit more seasoning (as in sesame oil and salt), but that was not a huge concern as the side of XO sauce added all the flavour I needed. As for the Sui Mai, they were definitely attractive with a whole shrimp on top with plenty of tobiko. The pork filling was meaty (albeit a touch soft) and moist with a natural essence. 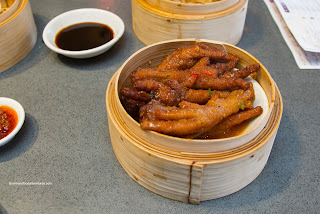 Next, the Phoenix Talons (Chicken Feet), looked promising as the dish was filled with 6 large pieces. It did taste good with plenty of seasoning which was balanced between savoury and sweet. The diced peppers added another layer of flavour as well. However, the skin and cartilage was fairly hard which meant more cooking was needed. 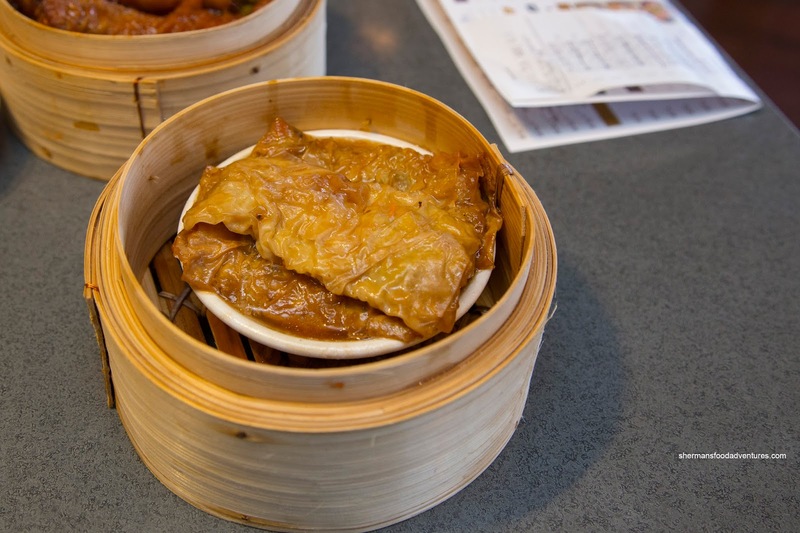 Despite its flat appearance, the Bean Curd Skin Rolls were on point. Beyond the chewy and soft bean curd skin, the filling was a nice combination of moist and meaty pork, julienned carrots and shiitake mushroom. Despite the lack of sauce (which I didn't mind), there was enough seasoning. For my offal selection, I went for the Tripe steamed with ginger and green onion. This was also another well-portioned dish with buttery soft bible tripe. I would've preferred more of a bite, but it was okay nonetheless. In terms of taste, there was no gaminess at all. I thought there was enough ginger and green onion hits without being overwhelming. 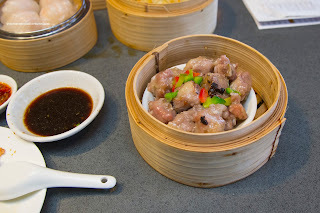 Continuing my Dim Sum for one, I sampled the Steamed Spareribs. These were a bit fatty, but that also meant the meat was tender, while sporting a bit of rebound. The taste was mild though with only intermittent hits of black bean, garlic and peppers. 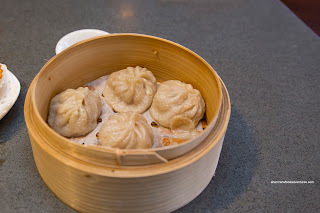 As I've said before, Xiao Long Bao (Shanghai Dumplings) are generally better eaten at actual Shanghainese restaurants. Hence, my expectations for the ones here were reasonable. 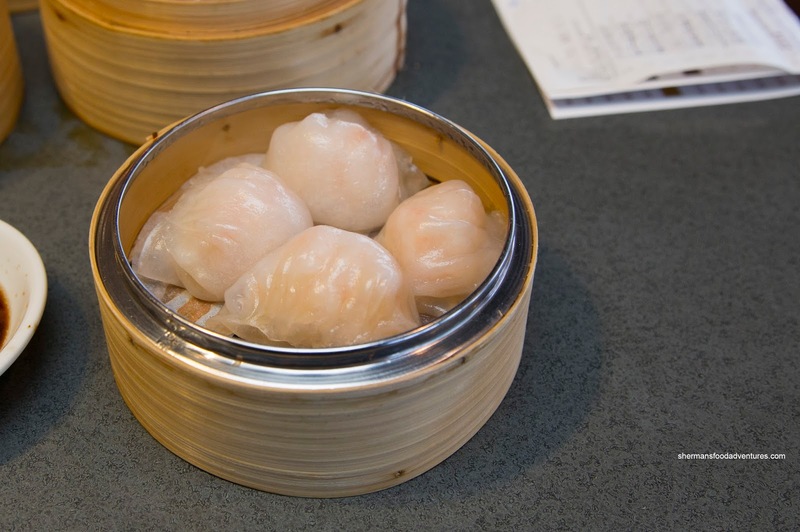 With a medium-thick dumpling skin, the XLBs were lacking soup, but the filling was rather tasty. With a light bounce and definitely juicy, the pork was mildy seasoned with a hint of ginger. This was where the meal was supposed to end, but I was treated to a complimentary order of the Fried Squid. This was money where the batter was thin, crispy and evenly salted. 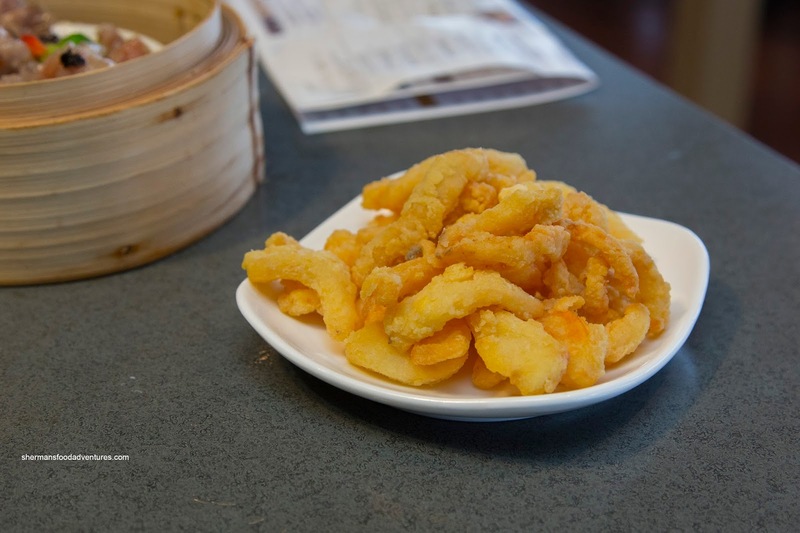 Inside, the squid was buttery while maintaining an appealing chewiness. 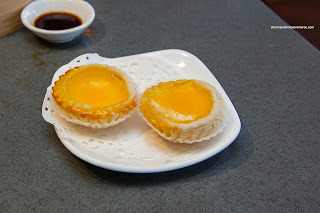 Finally, the meal ended off with a complimentary dish of Egg Tarts. These were baked in-house, but unfortunately, not hot when served. It appeared that the tart shell was a tad underbaked where it was missing the desired flakiness. As for the egg custard filling, it was a touch dense, but it did taste good where it was easy on the sugar. In the end, despite some things that could've been better, I would rather like to focus on the positives. 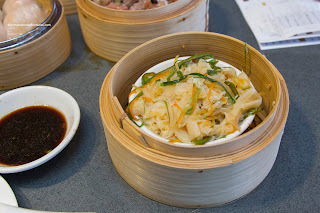 Reason being that there are no real legit Dim Sum spots nearby (combination of quality, selection and size of restaurant). 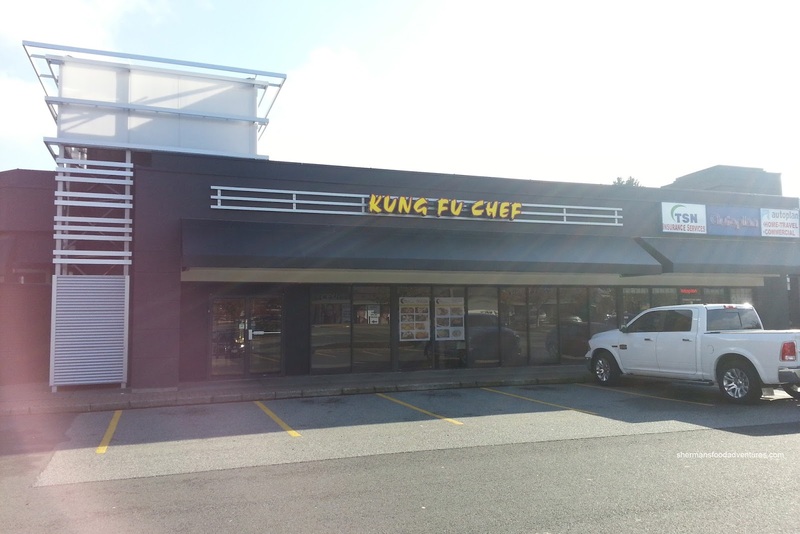 That leaves Kung Fu Chef in a class of its own.